This month’s CMS Home Health, Hospice, & DME Open Door Forum is scheduled for Wednesday, August 22, 2012 at 2:00pm ET. Please call at least 15 minutes prior to the forum start time. HCAF is excited to announce the newest offering at the HCAF Store, Survivor! Ten Practical Steps to Survey Survival: New for 2012 Survey Changes and Surveyor Secrets Revealed! 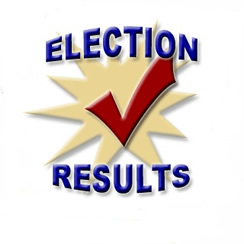 Elections were held last month for six seats on HCAF’s Board of Directors for the directors representing Districts II, IV, VI, VIII and X, as well the director representing Associate members. January is the new target date for final approval of the state’s Medicaid 1115 extension. A weekend of talks among members of the congressional committee charged with coming up with $1.2 trillion in budget cuts appeared to produce no last-minute compromise ahead of Monday’s practical deadline. Democratic and Republican aides told CNN on Sunday that discussions had turned to how to announce the failure to reach a deal. A senior Democratic aide said talks are focused on a Monday announcement.